Monday through Friday 9:00 A.M. - 4:30 P.M. Evenings and weekends by appointment. We are located on the South side of Roosevelt Rd. just East of Main St. in Lombard. 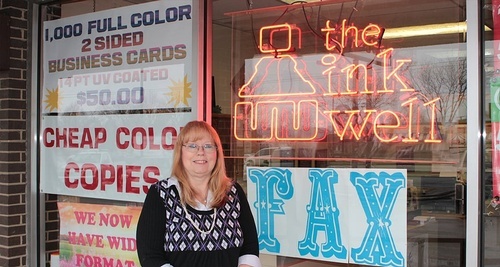 The Ink Well is a full-service, retail printing and copying center. 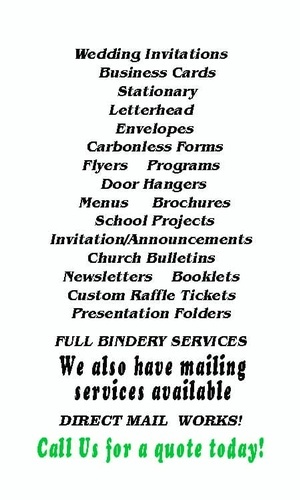 We provide multi-color printing, high-speed copying, design and layout, as well as typesetting and bindery services to the community. 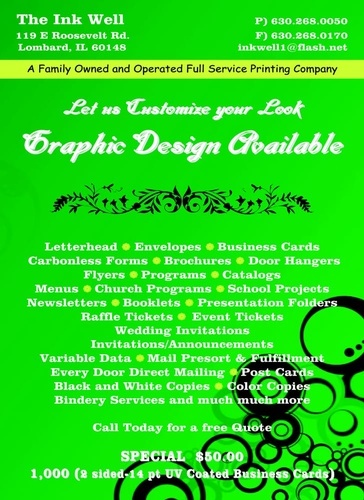 We also specialize in copies, color copies, booklets, wide format printing for signs, banners, ect. and much more! 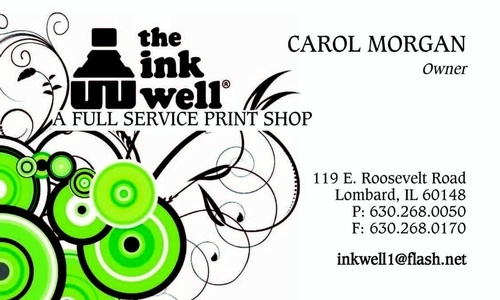 Think of us as your ''One-Stop Shop'' for all of your printing needs!